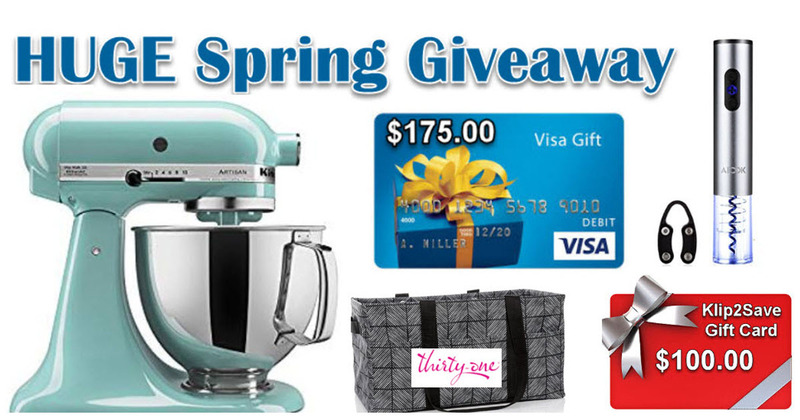 You are here: Home / Giveaways - Sweepstakes & Contests / Spring Giveaway: Kitchenaid Mixer, ThirtyOne Totes, Gift Cards & More! Once again, GimmieFreebies is teaming up with some of our favorite bloggers to bring you another amazing new giveaway! If you’re reading this in our daily email, click this link and scroll down to enter. Otherwise, just scroll down and enter.